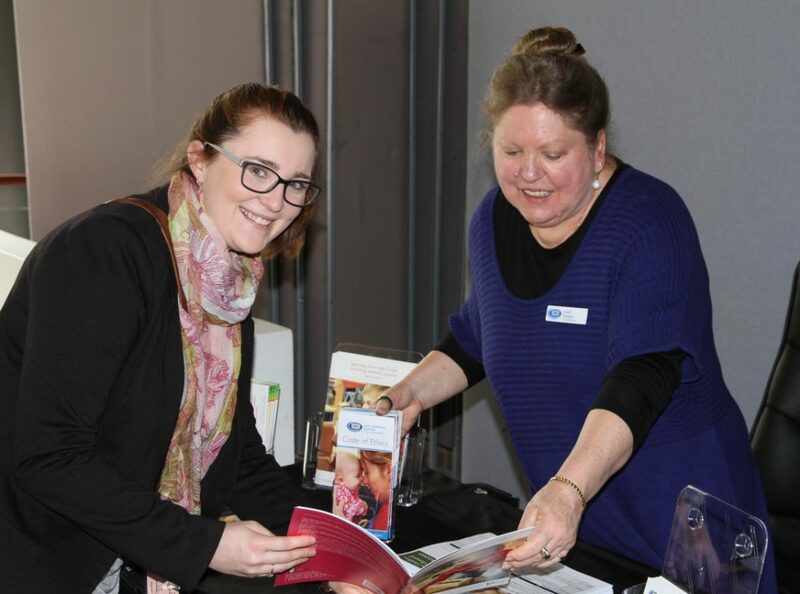 Early Childhood Australia NSW is a volunteer run organisation promoting the voice for young children and supporting professionals working in the field of Early Childhood Education. Members of the Executive come from different organisation representing community based, private centres, Family day care, OOSCH services, Training organisations, consultants and universities. ECA NSW sit on many committees to be an active voice for members. Below is the latest newsletter for ECA NSW. Six scholarships available for National Conference. Hunter region Trivia Night on EC. A new regional group is about to start in Penrith. Please contact the ECA NSW office if this would be of interest to you. ECA NSW AGM _ Guest Speaker – Megan Mitchell – 17th May. Light supper will be served from 6pm. RSVP office@nsw.earlychildhood.org.au. Attendance is free. People wishing to nominate for a position on the executive committee must complete a nomination form. Contact office@nsw.earlychildhood.org.au. Reconciliation Symposium- Freemantle 11-12 May – Travel Subsidies now available. Travel subsidies now available. Click on the hyperlink for more information. A terrific opportunity for NSW Early Childhood Professionals. As part of ECA’s commitment to acknowledging reconbeciliation in the early years, ECA hosts an annual national Reconciliation Symposium. The first symposium was held in Adelaide in 2015 followed by Sydney in 2016 and the Gold Coast in 2017. The 2018 Reconciliation Symposium will be held at The Esplanade Hotel Fremantle, 11–12 May. Registrations are now open, click here for more information. The Reconciliation Symposium explores the nature of reconciliation within the sector and brings the matter of reconciliation in early childhood into the spotlight to work towards a better future for all Australians. Places for the 2018 Early Childhood Australia, North Coast Conference are filling fast. With Maria Aarts as the key note speaker. • Marte Meo International founder Maria Aarts. Maria’s renowned theory based teaching method builds capacity in families, educators and carers of young children by developing the observational and communicative knowledge and strategies that support the integral emotional and social connections and interactions between individuals. Her methods and research are utilised in many countries all over the world today. • Sarah Moore is the founder and CEO of Early Education Leadership, the creator of Leadership without Limits, an in-depth program that looks to “raise personal awareness, shift perspectives and promote Conscious Leadership in order for individuals to recognise their full potential and lead in ways that create significant change”, whatever your professional/personal position. Liam McNicholas . Liam is a Canberra-based early childhood teacher, freelance writer and advocate, particularly focusing on early learning in political and policy contexts. He is the editor of the NQF news and analysis website The Framework. Liam’s session considers: A Whole New World – The New Child Care Package. July 2018 will see one of the biggest shifts in early childhood education and care ever in Australia. What do services and leaders need to know? What should you be preparing for? And what will it mean for children and families? This engaging session will explore all these big questions as well as giving a framework and background to why these changes are occurring. Annette Sax: Annette is a Taungurung and has worked in the Early Childhood profession for 27 years. For the past 17 years, she has been the small business owner and Education and Creative Arts Director of Yarn Strong Sista Pty Ltd, an Aboriginal Education Consultancy that provides Storytelling, conducts Cross Cultural training with Teachers, and develops culturally appropriate resources. Annette is an artist, storyteller and illustrator who paints using ochre and wattle sap on canvas as well as felting on silk. In this workshop, Annette will guide educators to gain an insight into the importance of the ‘Walert Walert’ -Possum Skin Cloaks. Learn about Aboriginal Pedagogy culture through the contemporary story Bartja and Mayila, written by Dr Sue Atkinson-Lopez, Yorta Yorta Author, and illustrated by Annette. After the story Annette will facilitate a creative experience and participants will have the opportunity to make a Possum Skin Necklace using materials collected from Country. Mark Carthew – An author, teacher, poet, editor and musician, Mark is well known for his books, conference and workshop presentations exploring literacy, movement, rhyme, poetry, music and drama. Mark’s latest books The Great Zoo Hullabaloo! & Marvin and Marigold: The Big Sneeze were both shortlisted for this year’s Speech Pathology Australia Awards … and Book#2 in the Marvin and Marigold SERIES; Marvin and Marigold: A Christmas Surprise has just been released in both Australia and the UK. Mark will weave interactive games, music and movement into this session, linking all to the joyfulness of literacy and language play! More information on our wonderful session line-up in coming weeks! Professor Deborah Brennan BA (Hons), MA, PhD, FASSA, is one of Australia’s leading researchers in comparative social policy, early childhood education and care and gender and politics. Deborah has held visiting positions at the London School of Economics, Oxford University, Trinity College Dublin and the University of Melbourne. She is a member of the NSW Ministerial Carers Advisory Council, a former President of the Australian Political Science Association and was the Inaugural Convenor of the National Association of Community Based Children’s Services (NABCBS). She is a member of the International Advisory Board of the United States Study Centre, University of Sydney. Deborah serves on the editorial advisory board of Social Politics: International Studies in Gender, State and Society, Families, Relationships and Societies and the Journal of Poverty and Social Justice. She is a member of the Feminist International Institutionalist Network (FIIN), the International Network on Leave Policies and Research and the Network on Migration and Care in the Asia-Pacific. Deborah leads the University of NSW component of a Commonwealth funded Collaborative Research Network that links the Social Policy Research Centre (UNSW) and the Centre for Children and Young People (Southern Cross University). The report was led by Susan Pascoe AM and Professor Deborah Brennan. Deb will speak on the report and then join a conversation on educational excellence in Early Childhood services. Free for ECA Members and $15 for non members. Light Supper provided from 6pm. RSVP 14th March, 2018. Illawarra/South Coast meeting Monday 12th February. The focus of this meeting will be to provide members with the opportunity /time to discuss topics such as: current publications/resources that support best practice and our advocacy work. Please email through any suggestions for discussion topics or provocations.